Didn't own them at the time, but I did work for a company that sold Olivetti M20 computers, with the very idiosyncratic Zilog Z8001 16-bit CPU inside, and their very own, and different operating system called PCOS. In fact that company never sold any of them and they were trashed as unsellable, I rescued a few from the dumpster, I still have one or two somewhere. 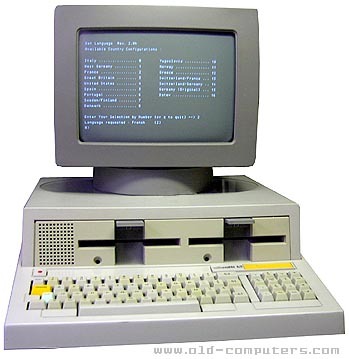 the M20 was launched in 1982, so about a year before the IBM PC-XT. There appears to be a C16 Plus/4 emulator at: http://yape.homeserver.hu/download.htm you should be able to compile the source version on your RPi. It was in high school, a PDP11/34 with RSX11M, and was very fascinated by the complexity, and learned a lot. A special situation was that the school for some reason didn't give any documentation or information. They used it for administration so they probably wanted the information to be "secret". But the most probably reason was incompetence. But it gave me an eagerness to investigate. I am still learning the world of Raspberry Pi, apologies if I double post. I've learnt one thing about Raspberry Pi: You fix an issue, but then you discover another. someone once demonstrated his ELF could play "flight of the bumble bee", that was great! Must have an LP somewhere that contains samples of the very first electronic music, and speech, I think it had an other rendition of "flight of the bumblebee". Mine was a Timex-Sinclair TS1000, the American name for a ZX-81. Your brain is more powerful, more complex and more clever than any computer ever built. It is constantly dealing with hundreds of messages from the world around you, and from your body, and telling your body what to do. It gets the messages from your senses - seeing, hearing, tasting, smelling, touching and moving**. Bit buggy and unstable though. My first computer use was on a friend's C64, probably around 1984. The first computer in our home was an Apple IIe dad bought for Xmas 1986, with 128K ram, two 140K 51/4 inch floppies and green monitor. that one taught me BASIC. I was given a Luxor ABC802 probably around 1988, by an aunt of mine, it had two 160K 5/14inch floppies in a huge, heavy aluminium case that was bigger than the computer itself. And the toughest keyboard I have ever seen, milled out of 10-15mm aluminium plates, I kid you not. in 1992 I used my first summer job wages to buy a used Atari 520STfm, and a C.T.I. CP-F80 printer. then dad got a Acer 386SX-25 with 4 megs of ram for working at home, and a 14400 bps modem (!! ), which I immediately hijacked for use on the Atari. Was given an old Compaq 386SX-20 2meg ram 40 meg hd monochrome VGA LCD notebook and a used Pentuim 75 with 16 meg ram and 800 meg drive, in 1996, toghether with a lightning-struck HP laserjet IIIp when I moved away to university, where I quickly got involved in a computer club and filled my dorm room with borrowed niceties such as a VAXstation 3100m76, Microvax II, 486/33 GRID laptop with color 640x480 LCD, DECstation 5000/20, SGI Indy R5000, Sun sparc IPC and sparcstation 2. At this time a flow of misc hardware started to float by me by reputation and since then I have alwas had more hardware waiting to be checked out and put to use than I had time to do. I had a shared 2Mbit radiolink the the campus network, and started spending nights on IRC and thus never finished university, but always stayed in touch with the computerclub (http://www.update.uu.se). the P75 got a new disk, and was finally replaced by a used Celeron 300A (at 450mhz like everyone did back then), and later ny Duron 650, which was my last windows running puter, it had Win 2kPro on it, dualbooted with Mandrake/mandriva linux. It grew to 10+40+8.4+60 Gig disk and 1.2 gig ram before it finally was too slow in 200..6?..8?, when I was given a friend's old setup, a dual Athlon 2200+ with 2 G ram, and bought a 250 gig samsung Sata drive for it. this was a real powersucker 110Watt cpu and five disks in a miditower case.. got warm++. That held up as main machine until last winter, when I got the one I type this on, a Core I5 4670K on a ASUS Z87-C motherboard. This mobo doesn't have any PATA controller, So at the moment I have no DVD drive and I bought a 120 gig SSD and a 4 Gig SATA disk. My first pi is running printserver for our home wlan, and it is working hard.. I cant believe the huge performance hit the new CUPS workflow created when they switched from PS to PDF internally, it does SO MUCH WORK! but it replaced a miditower PC so waiting three minutes before printing starts is a reasonable price, and it doubles as completely silent X terminal for connecting to computerclub servers, it's on a KVM switch with my main PC. Reading some of the entries in this Thread I feel like a 'Computer Fossil'. My first computer was a room full of Radio Tubes: A Zuse-Computer: Z22 in the early 50th at the University in Aachen Germany. It had 24 "fast" Memory cells (kernel) everything else had to be put on a drum. Programming was an art, because many logic gates could be micro-programmed and commands had to be placed at the proper location on the drum (depending on the execution time of the command) to optimize speed. The boot strip was about 30 cm long - 5 hole paper tape. My second Computer was built by Siemens and transistorized and a lot faster. It had IBM Card Reader, Punch, a line Printer. The 3rd I used in the US working for Bell Telephone an IBM 1620 machine with variable word length!! The followed a whole suite of 18 bit, 32 bit computers from IBM, General Electric, Digital, Control Data and a lot of other companies (most extinct now). My first personal computer was an obscure 8 bit computer to be used with a tv-screen. The first so called personal time sharing was via an Apple II using BASIC (provided by a Company Bolt, Beranec and Newman??). Later I was partner in a computer shop venture in Belgium where we sold mainly Apple II and Commodore 64 Computers until we got the 3rd of the first Macintoshs in Belgium. Since then I used only MACs through the generations. Until 2 days ago when I bought a Raspberry PI B. My first computer is LG desktop windows98. I forgot the model of that desktop now. Its more than fifteen years ago. I'm not much aware about desktop model during that time. Mine was a Tandy PC-7. It had a Basic interpreter. Quite so. When I were a lad computers were huge and cost millions of pounds. We only dreamed of them. It didn't have a mouse, but that wasn't an issue. I later upgraded it by taking a 2Mb graphics card (of the incompatible kind) and frankensteining the ISA AT card. 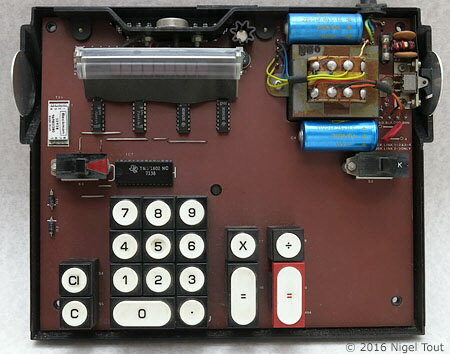 The Big Board would normally be populated with 64k of static ram and that's all the Z80 could access directly with a 16 bit address. But then Digital Research, on its last leg, released CPM 3.0 which supported multiple 64K memory banks. So I stacked static ram 4 deep with bent up chip select pins wired to IO ports for bank select. Ended up with a functional CPM 3.0 system with 256K of RAM! Programs could only run in 1 bank, but the other three provided ample space for IO caching and such. First one I used was ancient, it was in 1984, it had a single floppy drive, 720KB, but it was a 3.5", not the old fashioned 5.25". It ran at about 10MHz or something, & had 512KB of ram, with a monochrome 12" CRT monitor. A few years later, I got my very own computer, it had two 720KB 3.5" floppy drives! It wasn't much bigger than those two drives in overall size, ran at 10MHz, & had a 9" monochrome CRT monitor - & that cost me about £500! It took years before I could afford another computer. But I did get one, & after suffering MSWindows for a while, I ended up running Linux on it in 1999. Edit: Edited the date of first use. Last edited by k-pi on Thu Dec 14, 2017 3:34 pm, edited 1 time in total. First one I used was ancient, it was in 1994, it had a single floppy drive, 720KB, but it was a 3.5", not the old fashioned 5.25". It ran at about 10MHz or something, & had 512KB of ram, with a monochrome 12" CRT monitor. (Assuming PC) 1994 they where touching 100MHz with the Pentium, but most would still be on 486DX, still a lot higher than 10MHz, 10MHz was some ten plus years before. Turn of the 80's era. Can you remember what it was. It was old second hand equipment bought for trainees to learn how to use computers. They used 8086 processors, single 720KB floppy & 512MB ram, running DOS 2.1. Computer magazines of the time were extolling the virtues of 40 & 60MB HDDs, common were 16MHz 286, 386 had just been superceded by 486, if you could afford them. Edit: This firm still had a few Amstrads that were about 2MHz with a single 5.25 floppy drive! Edit2: You got me thinking about the year, & I think you may be right, checking up on when the processors came out, I think it must have been '84 - I didn't realise that I learned to use them so long ago. Last edited by k-pi on Thu Dec 14, 2017 3:32 pm, edited 1 time in total. Wow, this might have been even more interesting-er with a vote on peoples first computer, but the options list might have been a bit long.. The thread is too long now to read every single line but it looks like most of you started with one of the Sinclair offerings. Shows just how much Mr Clive has affected our lives, where is he now? I (pre) ordered a ZX80 but it was going to take far too long than an impatient twenty-ger was prepared to wait so I cancelled it and got the OHIO Superboard 2 (Challenger II P) instead, I must have spent more hours programming than I spent playing Space invaders later..
Programing was a slim version of Basic, then Machine code could be used by poking data in to the Memory locations one at a time, there was no way back so any mistakes meant starting from the beginning... Grrr.. It still lives in my loft and worked at last outing a few years ago, much modified by now of course.